prepared for you since the creation of the world. prepared for the devil and his angels. So what about the other scripture (above) that says that some will be cast into the eternal lake of fire. perfectly fair. When Jesus comes back to judge the nations it will be at the END of the Tribulation. an angel to fly through the sky and proclaim in a loud voice to all who live on the earth Don’t Do It. 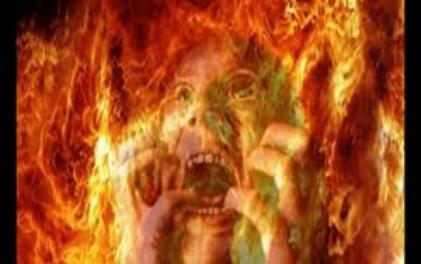 Don’t take the mark and don’t worship the image or you will spend eternity in the lake of fire. them but they would not listen. And that’s why only these people spend eternity in the lake of fire. My personal opinion is that the reason for this is because it has something to do with the mark. warn the entire world regarding it. festering sores broke out on the people who had the mark of the beast and worshiped its image. This may have something to do with it as it only affects the ones who took the mark. So I believe that the only people that spend eternity in the lake of fire are those that take the mark. The rest are cast into the lake of fire, but they perish there. They are not tormented forever and ever. In the same way your Father in heaven is not willing that any of these little ones should perish. more for all of eternity. There are more scriptures than only these that teach that unbelievers will perish or be destroyed. those who live through the tribulation and have taken the mark and worshipped the beast. this is why they are sentenced to eternity in the lake of fire, this is their jail. but all will be destroyed after serving their sentence. This makes it fair for everyone.